Yesterday architect and educator Diane Lewis died at the age of 65. She was known more for her decades of teaching at The Cooper Union, from where she graduated in 1976, than her New York practice. I reviewed books on both ends of her architectural life: Inside-Out, a monograph published in 2006; and Open City: Existential Urbanity, a large-format book on the "Architecture of the City" studio at Cooper Union that came out in 2015. My review of the latter resulted in me meeting Lewis and participating in an event celebrating the book. I was impressed by her intellect, passion and generosity. These and other sentiments are echoed in Dean Nader Tehrani's In Memoriam piece on The Cooper Union's website and Suzanne Stephens' obituary at Architectural Record. Lewis built very little and what was built was limited (as far as I know) to NYC interiors. The best resource for these projects is the Cooper Hewitt, which named Lewis a finalist in the 2008 National Design Awards in the Interior Design category. A couple of works found on the Cooper Hewitt website are featured here. 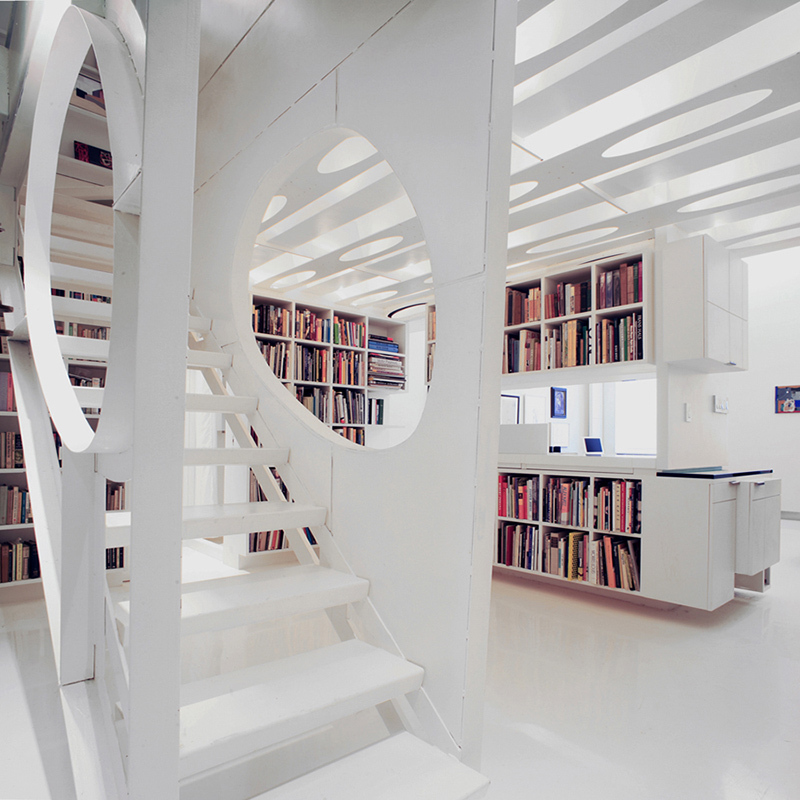 At top is Studiolo, the name for the loft of architecture's married couple, Beatriz Colomina and Mark Wigley. And below is an atelier she designed for a curator. Both exhibit her background at Richard Meier's and I.M. Pei's offices (she worked for them before starting her own practice in 1983) as well as her own skill as an architect. I always wished one of the buildings Lewis designed would find its way to realization (her proposal for Astor Place was a favorite). Although her death would seem to put an end to that thought, maybe, like her mentor John Hejduk, it will happen someday.